The Queer Book Group Has Arrived! We’ve very happy to announce that we have yet another book group opportunity for you! 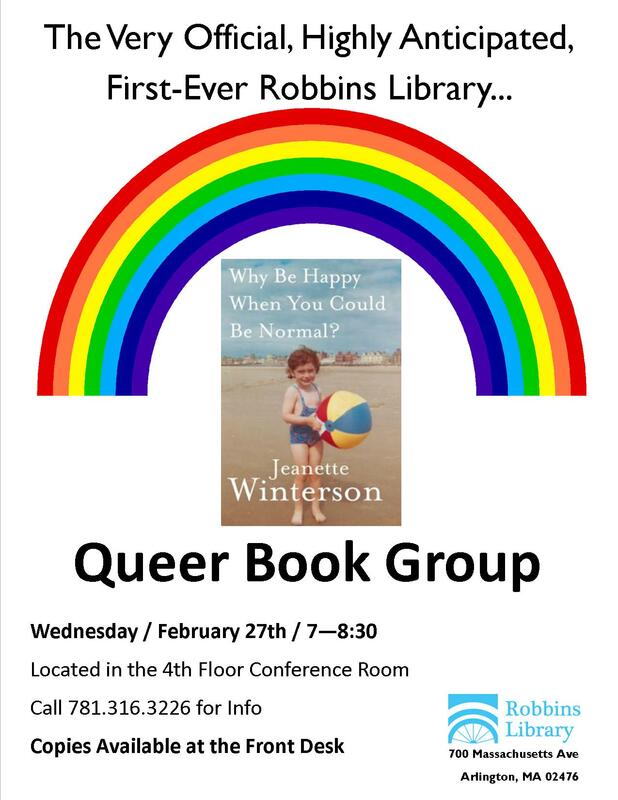 The Queer Book Group (or QBG for short) is having its first meeting on Wednesday, February 27th, from 7 – 8:30 (we’re sort of an every other month group). Read some excellent LGBTQ-themed books, make some new friends and expand your community! Our first book is Jeanette Winterson’s Why Be Happy When You Could Be Normal? You can get your copy at the front desk at the Robbins. This entry was posted in Book group, LGBT and tagged Jeanette Winterson, LGBTQ, Queer Book Group, Why Be Happy When You Could Be Normal?. Bookmark the permalink.